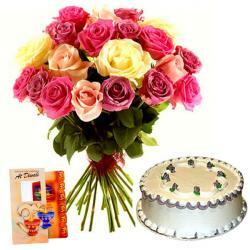 Product Consist : 2 Diwali Diyas, 1/2 Kg Pineapple Cake along with Glass Vase Arrangement of 25 Mix colourful Roses. 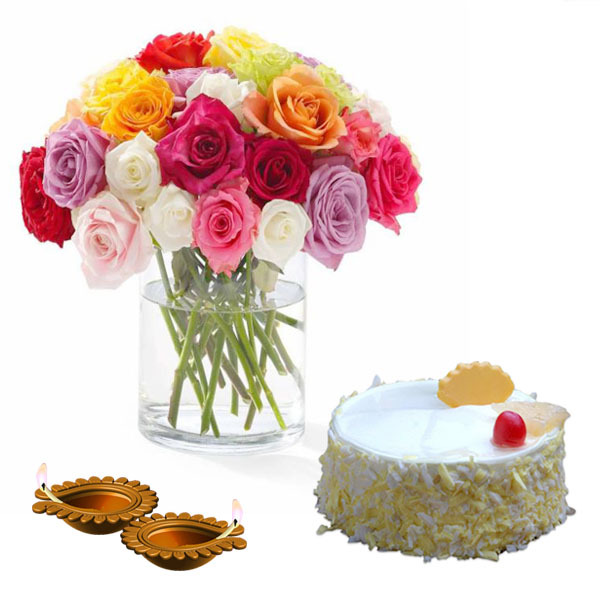 The gorgeous festival of Diwali, everyone enjoying a royal feast.This diwali gift includes the freshness of roses and traditional diya. Cheer the occasion of lightness with diya which brings the positive vibes everywhere and negativity far away. 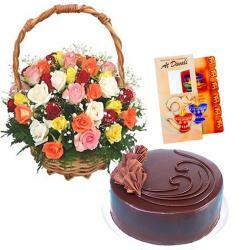 This combo has been designed especially to gift on diwali . 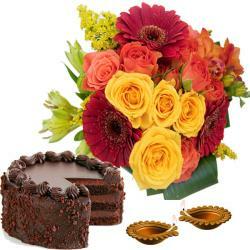 This combo has ability to change the environment by its simplicity and beauty. 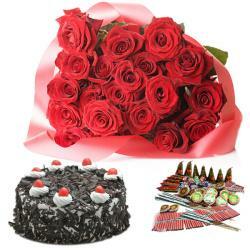 Product Includes : 2 Diwali Diyas, 1/2 Kg Pineapple Cake along with Glass Vase Arrangement of 25 Mix colourful Roses.